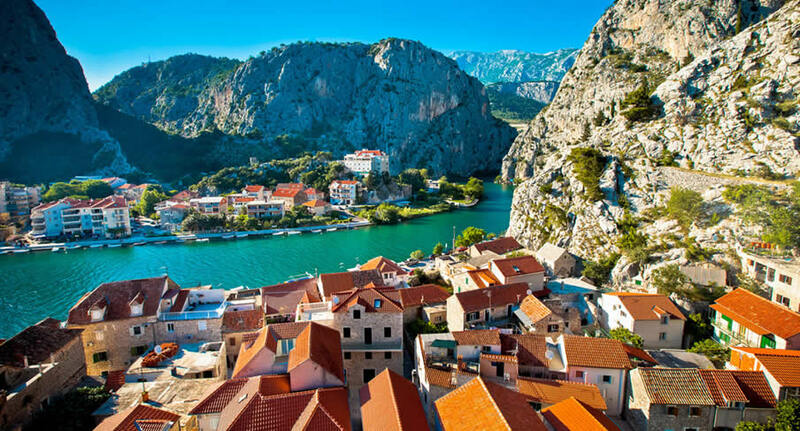 The best way to get to the most beautiful and isolated towns and villages in Croatia is by car, and NÜ Car Rentals has great deals on car rental in Omiš. Omiš is a town and port in the Dalmatia region of Croatia, and is a municipality in the Split-Dalmatia County. The town is situated approximately 25 kilometres south-east of Croatia's second largest city, Split. Its location is where the Cetina River meets the Adriatic Sea. In the past Omis was notorious because of the pirates of Omiš whose ships were a centuries-long symbol of retaliation, courage and strength. Don't miss your chance to enjoy this beautiful and friendly country. Get great deals on European car rentals - Car Hire with NÜ Car Rentals Company - Rental Car Agency. Book your NÜ Car Rental today! NÜ Car Rentals has great rates, exclusive discounts, and the cheapest deals to fit any budget. Next time you're visiting Omiš, Croatia, take an us for a ride, and find the perfect rental car.